While Tim Duncan left Nike Basketball some time ago for another brand, Nike has decided to bring back the shoe he made famous: The Nike Total Air Foamposite Max. 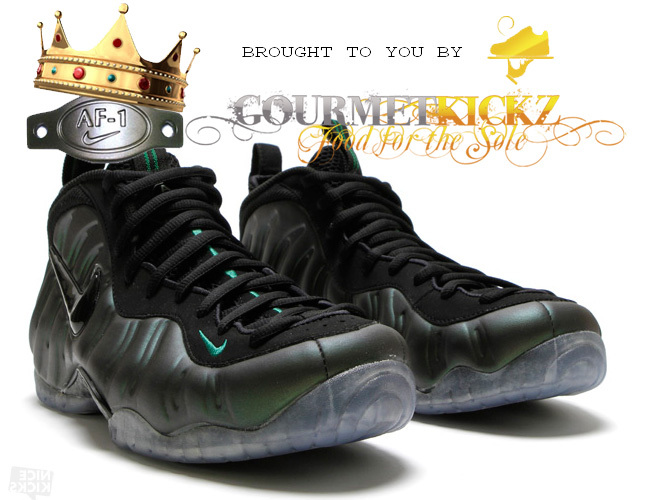 This colorway is particularly hot as it resembles the highly coveted Pewter Foamposites. This colorway is listed as Metallic Silver and Black but also contains some bright blue accents. The buzz is out and Nike has answered the demand of sneakerheads worldwide. This should is available now at the online shop and will ship promptly on the day of release: September 30th. So get your pair now. 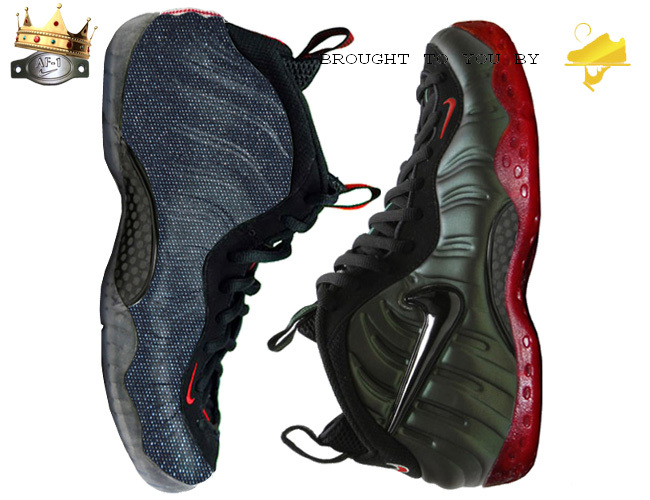 You can see the product listing after the jump or browse all foamposites at the online shop. 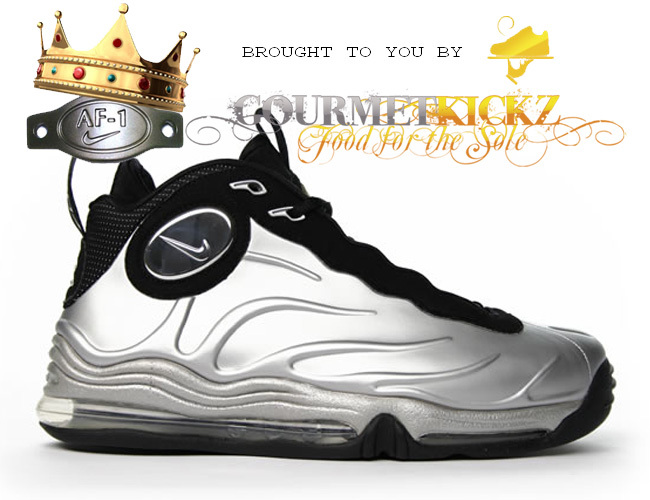 Chef and a long time client of GourmetKickz partnered on this new release. The client wanted to make better use of his “Dirty Copper” Foamposite Ones as well as cover up some nasty skuffs. Chef immediately presented his latest habit of wrapping foams with various fabric with a VT – like application. 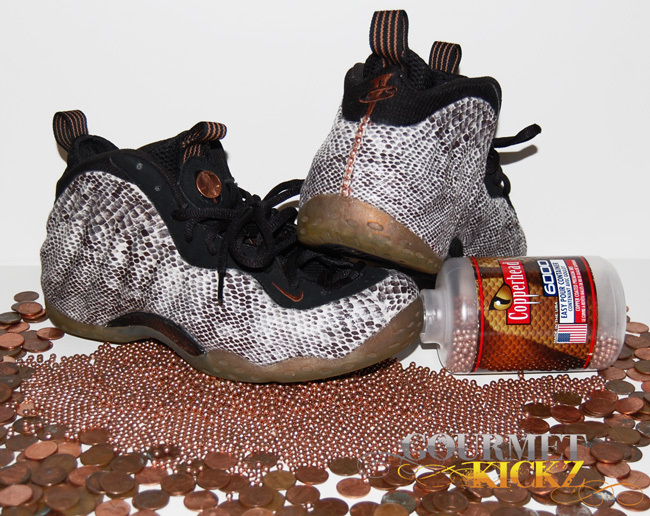 His choice was faux snakeskin, and so the play on words began.. Copper + Snake + Penny Foams = Copper Head Snake Foamposite Ones. The references are numerous: the pennies or 1 cent pieces are also known as copper heads for the head of Lincoln, this is also a direct reference to Penny Hardaway and his 1 Cent logo. Therefore pennies replace the 1 Cent logos on the tongues. Brand new 2010 pennies were used as they have a more decorative back side and display the text “one cent”. A brand of copper colored bee bees came into the mix when Chef used supplies from a past project and added some more irony to the mix. The copper bee bees by Copperhead, were used in a single row at the back of each shoe and are used to assist in sealing the two fabric pieces that wrap the shoe. They are hand stitched into place very carefully and flow nicely with the overall design. All in all the client was very happy, and the result has spawned yet another unique service here on af1king.com. After the jump you can view more pictures and purchase this service. Read the details, as the listing is for the job only, you provide the shoe. Chef has clearly been a mad scientist, well a mad… Chef, cooking up sheer insanity in the “kitchen”. What you see pictured is clear evidence of his culinary debauchery… a Gucci Themed, sole swapped, Foamposite Pro and Foamposite One package. WTF? Yep. So here is the recipe… A “Cough Drop” Foamposite One, a “Pine Green” Foamposite Pro, sole swap the two, then add some selvedge denim to the “Cough Drop” using a wrapping method similar to Nike’s VT application, and vuala… a dish fit for a sneaker king! Chef will only be creating 4 of these Frankenstein-like luxury packages, and the sizes are limited. So please choose quickly and wisely. Free shipping applies to this package. Please exercise patience as Chef will be cooking each of these on demand. In person the packages are sure to be just as amazing as the picture you see. After having been released in foreign markets what seems like ages ago, the highly anticipated Nike Air Foamposite Pro “Pine Green” is now available. 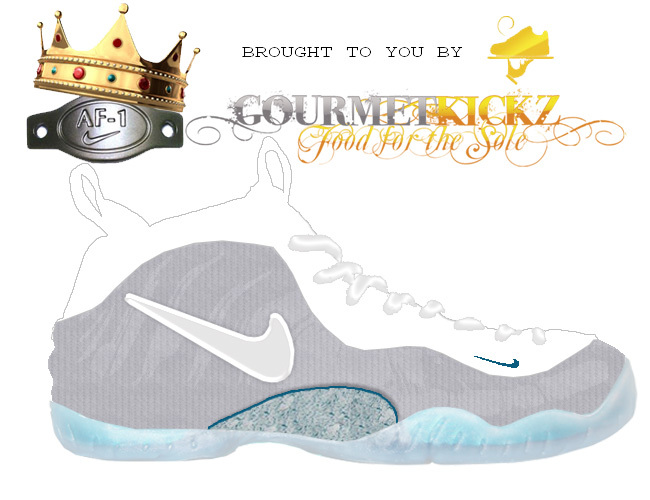 This shoe officially released today on 9/2/11 at select Nike Retailers and sold out within hours of doors opening. Many people locked down their pairs at a premium price early to ensure they would be able to rock these for the fall. The “Pine Green” color is a perfect hook up to pretty much any of your current Polo Outerwear or Army colored gear. It is pretty much a staple in any self respecting sneaker head. There are a few sizes left in the AF1King Store so you can head on over and grab what’s left from the size run we stocked this morning by clicking here. Or simply scroll down after the jump to view the product and buy now.